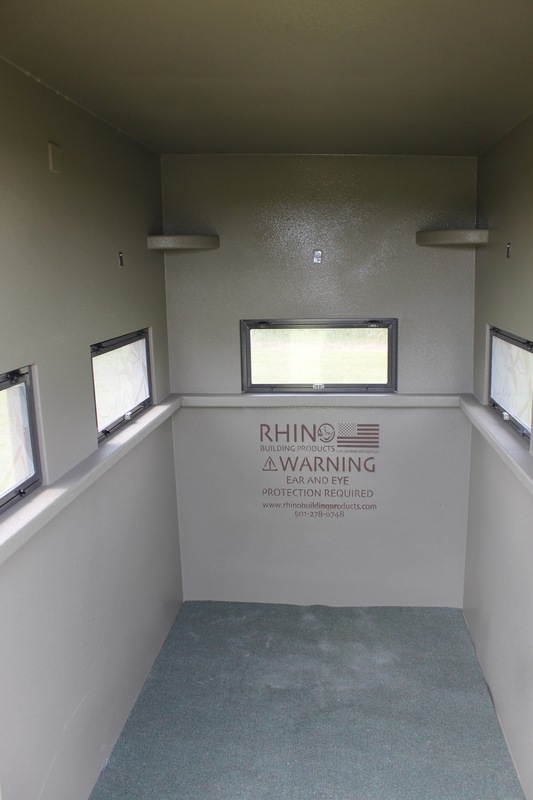 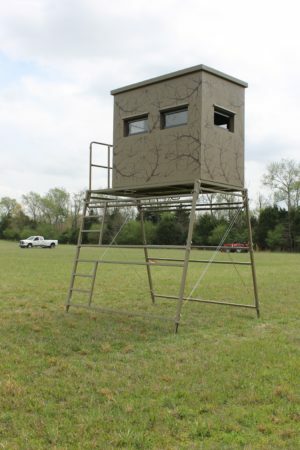 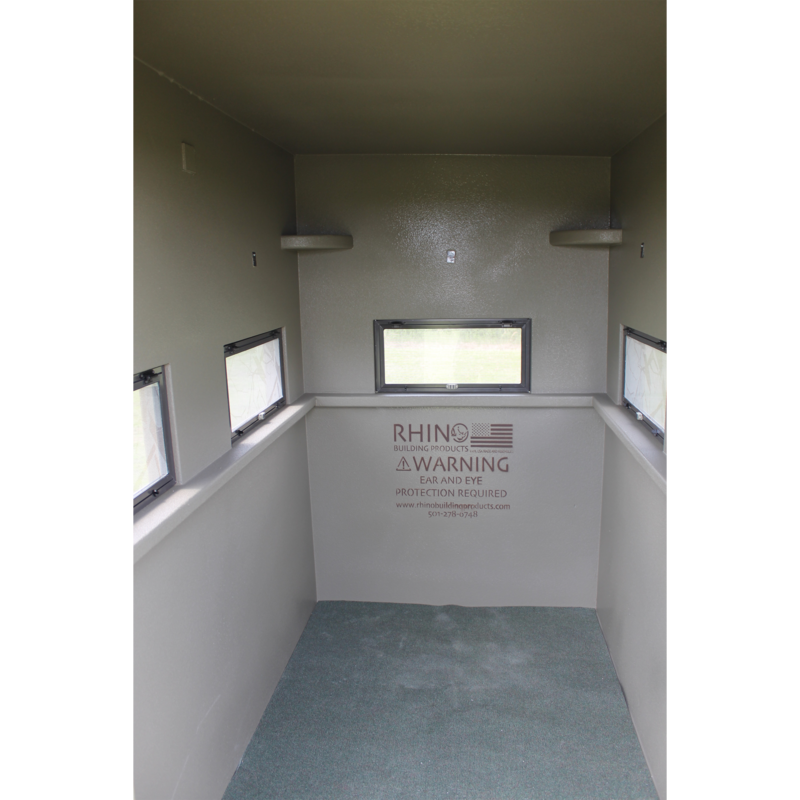 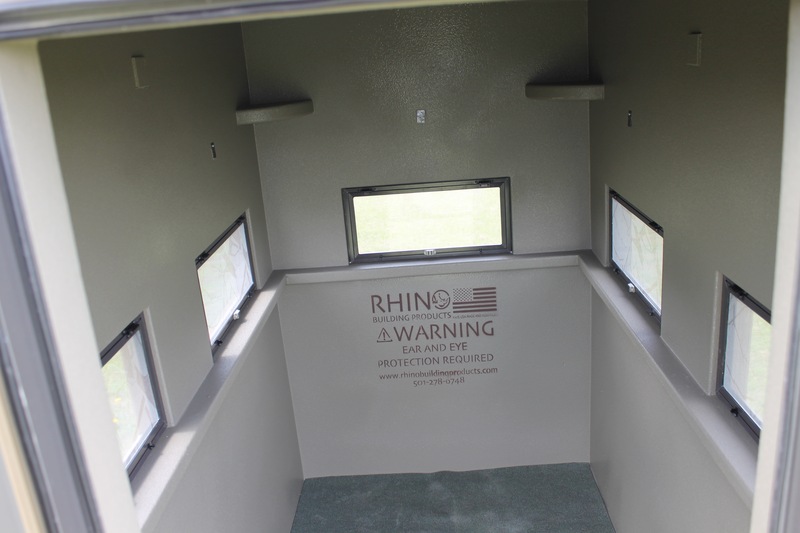 Major 4 Man Gun Blind | | Rhino Building Products, Inc. 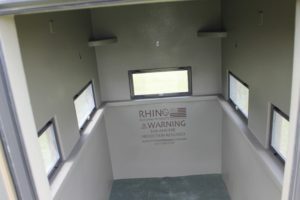 Inside the Major 4-Man Gun Blind, the only thing you’ll be able to think about is getting that perfect shot. 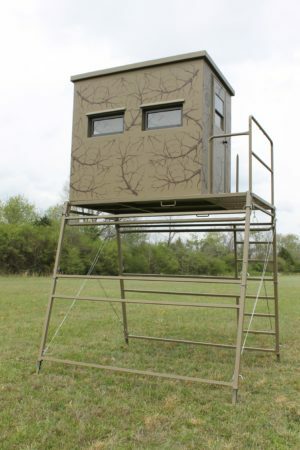 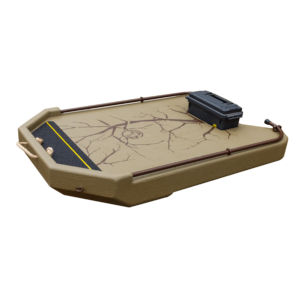 With protection from the elements and ample room for multiple hunters, you can enjoy the company of your hunting party without feeling cramped. 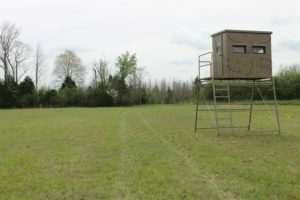 We know that you may be competing for that ideal shot, but you should never have to compete for elbow room. 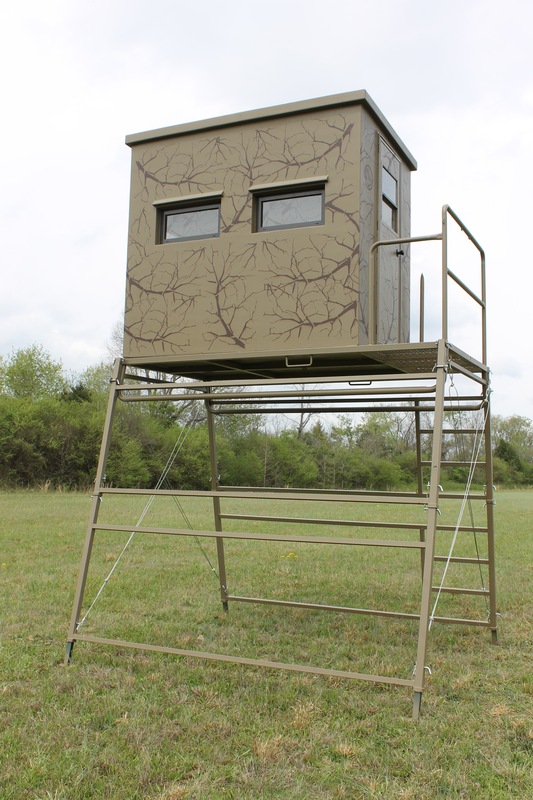  Our blinds will revolutionize your hunt. 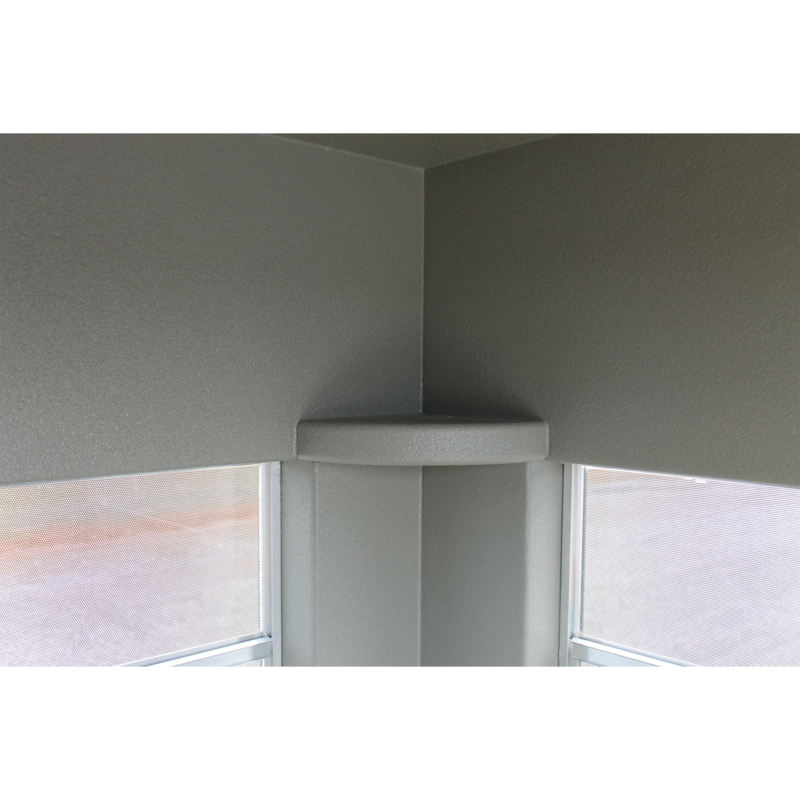 The first thing you’ll notice is the amazingly durable inner and outer surfaces that cover the most efficient insulation you’ve ever seen. Our blinds can quickly be toasty warm in the freezing cold or pleasantly cool with our optional A/C unit. Our magnetic flip windows that have one-way camo glass, keep wildlife from seeing in and are perfect for gun or bow hunting. 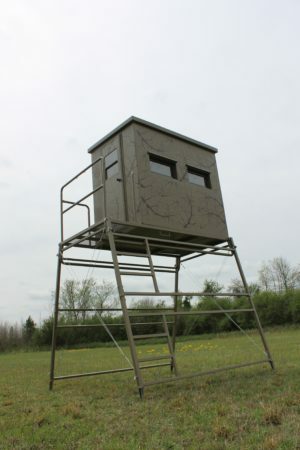 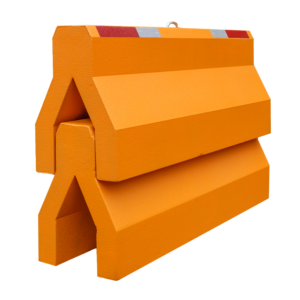 Due to its lightweight construction and the fact that our tower doubles as a skid, you can drag your blind into place and be hunting in as few as 10 minutes! 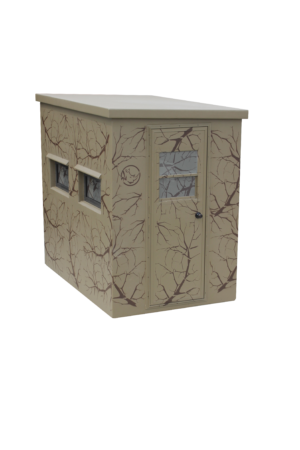 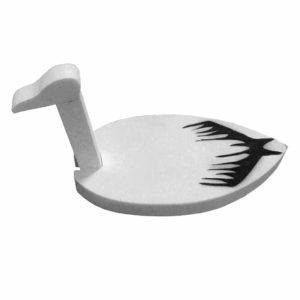 Your kids will love the USB port (a/c unit) to keep their devices charged almost as much as you love the noise canceling blind design that keeps you in the hunt even with the most wiggly little hunters. The only animals you won’t be killing in our blind are wasps or other creepy crawlies that sneak into conventional stands.